Although this quote concerns autism, it is every bit as relevant to families where one or more children have Asperger’s Syndrome, considered a milder form of autism. What challenges do parents experience when a son or daughter has Asperger’s? Here is a list that I’ve accumulated from my years of experience as an Asperger’s psychologist. At the top of that list is learning to accept one’s child as different. A child with Asperger’s is one who at times is substantially different from other children. For parents, this means having to alter their expectations of what their family will be like and what it means to be a parent, as their child grows up. For some parents, the reality of having a child with Asperger’s generates a troubling sense of self-blame. Commonly, children’s difficulties are assumed to be caused by parental failings. If it were not for what we do as parents our children wouldn’t be the way they are, is a familiar belief. Consequently, many parents fault themselves for the actions of their Asperger’s child. The fact that Asperger’s has a strongly genetic foundation makes parental self-blame all the more likely. Meltdowns and aggression on the child’s part are additional sources of parental stress. It’s exhausting to deal with tantrums, antagonism, combativeness, hostility and assaults. Children might not always be able to control these behaviors, nevertheless, they put a great deal of strain on parents. Many of the parents I talk with as an Asperger’s psychologist name coping with difficult behavior as their most frustrating task. 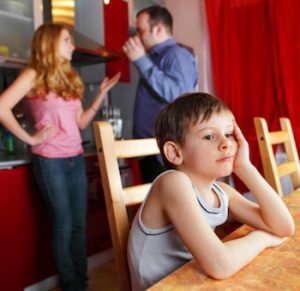 Social isolation of the entire family is one consequence of aggressive behavior, as parents stick close to home so as to avoid risking the child acting out in public and also to ensure the child has the calming effect of a familiar environment. Many times, the public’s lack of understanding of Asperger’s creates a problem for parents who blame their child’s difficulties on misunderstanding and interference by the outside world. Finding appropriate services for their child with Asperger’s is a major source of frustration for many parents. Obtaining, managing and paying for multiple treatments, such as social skills training, academic tutoring, medication treatment, and psychotherapy are typically burdensome. In some cases, the early intervention services that foster developmentally appropriate skills in children with Asperger’s are not available or are too costly. Adding insult to injury, insurance companies may not pay for services they consider non-medical or unnecessary, increasing the burden and stress on parents. Services for parents may not be available as well. For many parents, connecting with and being around other parents who also have children with Asperger’s is quite helpful. Yet it is often the case that finding a venue to interact with other parents is difficult, adding to an already stress environment. Self-blame is not the only reaction that parents contend with. Guilt, anger, resentment, anxiety, depression and grief sometimes enter the picture. The complications of parenting a child with Asperger’s make it hard to feel like life is simple and uncomplicated. One common feeling that parents experience is denial. Not just parents but also siblings can convince themselves that things are not as bad as they are. Often, believing things are fine and that everything’s going to be normal in just a short time is a tempting way to cope with the strain of Asperger’s. While in some cases it represents an understandable, even healthy coping mechanism, the unrealistic nature of denial taken too far makes matters worse. As an Asperger’s psychologist, I have found parental denial to be among the most difficult barriers in the way of helping children and families cope with this condition. What parent doesn’t wonder about their child’s future? When that child has Asperger’s, however, wondering often turns to worry. Will my child be able to live independently, become employed, have a romantic relationship, and have children sometime in the future is a question on the minds of many of these parents. The prospect of their child living with them well into adulthood is worrisome to many parents who face giving up their own independence and freedom in order to cope with the effects of Asperger’s. It may be that more parents feel stressed about their child’s future than any other issue they face. If you are a parent of a child with Asperger’s here is one suggestion. Try to separate your child from the challenges of Asperger’s. Asperger’s is not your child, it is a condition your child lives with. Both you and your child have to deal with that condition, but you can always find ways to make having Asperger’s work to your child’s advantage. Plenty of people without Asperger’s have a difficult time and in the end, life is only as successful as you make it. How about this for a challenge: my daughter was diagnosed by a world renowned specialist, who also happens to be my friend. We discovered after a year of taking her from one psychiatrist, to counselor to another -that she has Aspergers syndrome. Trust me when I say – that from the point where she was told of her diagnosis, to now over 10 years later, she is in ferocious denial, and will have NOTHING to do with any kind of help in any way. When she was under-age, I advocated and championed for her without her knowing, including getting her educationally diagnosed so that the help could be there for her. She will be 22 this month. She is fragmenting and cycling with mood swings and anger I have never seen before, shutting systematically everyone who is family. I have been the one through thick and thin who has helped her and been the wizard of Oz, manipulating circumstances so that they would be in her best interest. She is pushing me away harder than she ever has in her life. I need help in managing this nightmare and in how to best be present to her, and her behavioral issues. She is very high functioning. This is because of me and my hard work. NOTHING can pull her out of her angry isolation and her denial. She is fighting something she knows deep down is true, and I see my precious child tearing herself to pieces, with this internal war. Help ME, I need support and guidance and coaching and counsel, so I can be as empowered as possible to assist her. THIS IS A PARENT REACHING OUT, MOTHER – SINGLE – FOR HELP IN DEALING WITH HER CHILD WHO IS ENTRENCHED IN DENIAL EVERY MOMENT SINCE HER DIAGNOSIS WAS REVEALED TO HER.